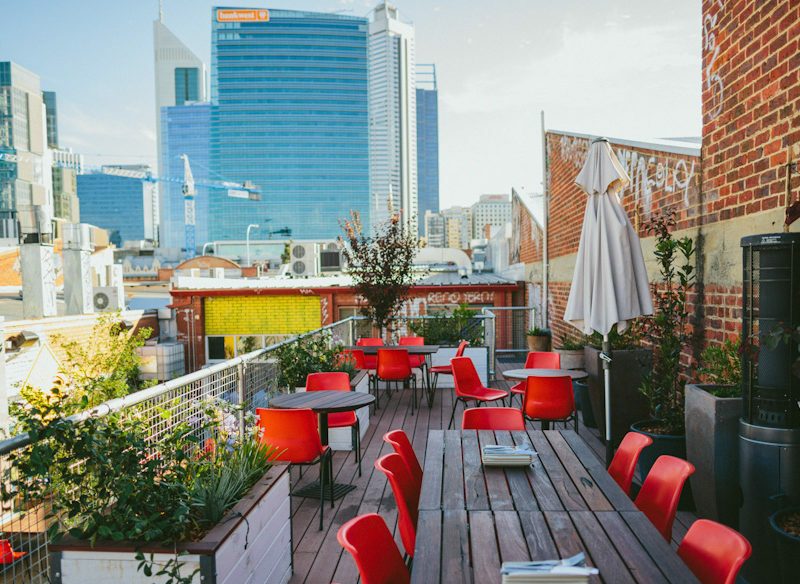 Lovely rooftop views of Perth from the seating area of The Standard Bar Garden and Kitchen. 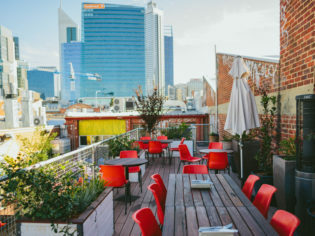 All grown up and revitalised, Perth has ranked highly for its livability, and the world is taking notice. If you haven’t been in a while, keep reading for 9 ways to enjoy the boomtown, day and night. Start with a stroll around Elizabeth Quay’s riverfront walkways, sculptures and restaurants. We think it looks most beautiful at night when it’s lit in neon. Cathedral Square is another spot that gears up from 5pm and beyond. The heritage boutique zone is home to some great bars and restaurants. Catch Rooftop Movies on the seventh floor of the City of Perth Roe Street carpark. From Cathedral Square head to the cultural heart of the city for live music, theatre and art at the Perth Cultural Centre. A highlight in Cathedral Square is David Thompson’s Thai restaurant, Long Chim. On the same laneway you’ll find this fantastic European diner and bar, Shadow Wine Bar. Just beyond, on Roe Street, is this must-visit bar with a great garden; The Standard.